What can I say, I've been busy. I have a couple of pieces in the works for this site, but in the meantime I've been overwhelmed by some projects that might actually bring, y'know, a little money to the old bank account. In the meantime, I have two new pieces up at Battleship Pretension. The first is the beginning of a series going through the rather amazing Criterion box set America Lost and Found: The BBS Story. I'm going in order, so of course that forced me to try to unwrap the undeniably strange Head (Bob Rafelson, 1968). 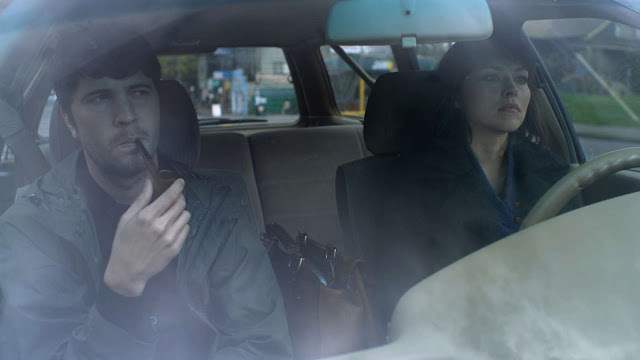 On the more linear side, I also have a review of Aaron Katz's new film, Cold Weather, which is starting its theatrical run nationwide. And can I just say I really love living in LA and getting movies right when they come out instead of at some undetermined point down the road? It's bliss. If you really need me on a more regular basis, I'm writing news for Yidio. But I do hope to have a couple of the old in-depth, obsessive pieces up here before long.